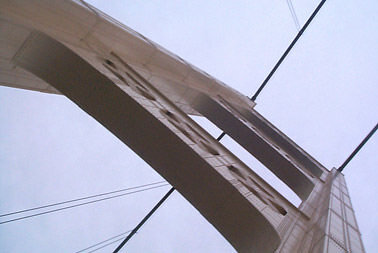 Usually, the bridge tour is taken in two parts while traveling to and from another tour destination. However, this tour is also available as a stand-alone activity and can be done comfortably, rain or shine. 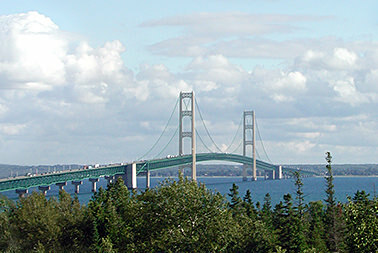 The Mackinac Bridge charges a toll of $4.50 per axle for motorcoaches, so typically this amounts to $13.50 each way. 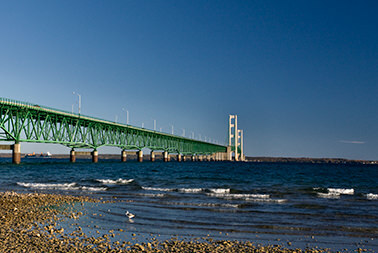 Your guide will give you, first and foremost, an outstanding talk about the Mackinac Bridge, Michigan’s crown jewel. 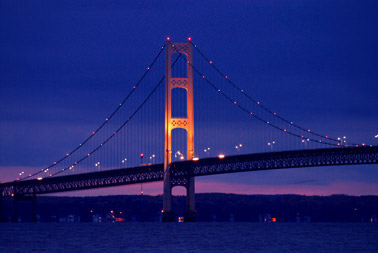 At one time it was the longest suspension bridge in the world – find out where there are bigger bridges today and why the “Big Mac” may still be a greater engineering feat! Hear the dramatic tales of the brave iron workers who built this massive structure, how several of them lost their lives in the process, and what safety procedures today are in place to protect motorists, workmen, and boaters. How many cars have gone off this span? 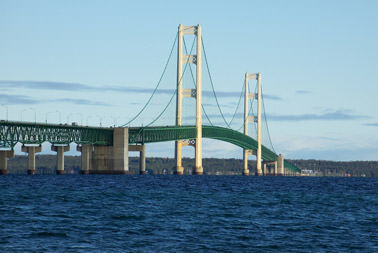 The bridge is the safest five miles of Interstate 75, yet you will hear the stories of how it has been struck by a ship, an airplane, and how an Air Force bomber once flew under the bridge’s center span. Your guide will provide more than hearsay – in many cases these are eyewitness accounts of local history! 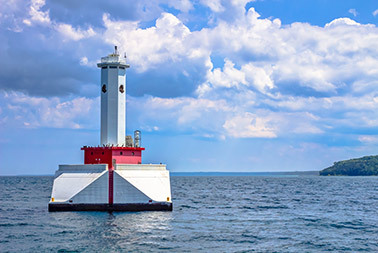 If time permits within your schedule, we may stop on the St. Ignace side at Bridgeview Park, a new observation point that is perfect for bridge photos, group photos, and a great restroom stop inside the park building.